For the past four weeks the world has been mesmerised by the events unfolding on their television screens, watching football’s World Cup 2014. 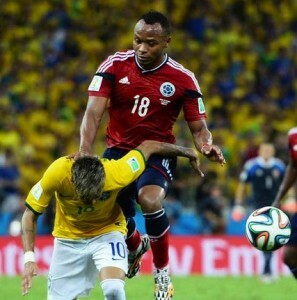 Despite the shenanigans of FIFA and its President, Sepp Blatter, who seem intent on besmirching the reputation of the Beautiful Game, the matches taking place in Brazil have produced some spectacular moments. Those who saw it will never forget Robin van Persie’s goal against Spain on day three where he “looked like a seagull floating over ocean waves” as his header skipped over the goalie Casillas into the net. Robin van Persie's header against Spain is a sublime moment in World Cup 2014. © The New Republic. Neymar was stretchered off the pitch and taken to a private clinic where he underwent both CT and MRI examinations. The Brazilian team physician, Dr Rodrigo Lasmar, appeared on television to say the young striker had suffered a fracture of the third lumbar (L3) vertebra. Also shown during the programme was a CT image (seen below right) of Neymar’s lumbar spine, with some newspaper stories suggesting he could have been paralysed had Zuniga’s knee struck him slightly higher up. That’s when things started to get really interesting, with the medical community getting into the act. Dr Antonio Valassina, an orthopaedic surgeon from Rome, pointed out that the CT image did not show an acute injury to the L3 vertebra but rather damage to L5 that was consistent with a chronic condition — spondylolysis. 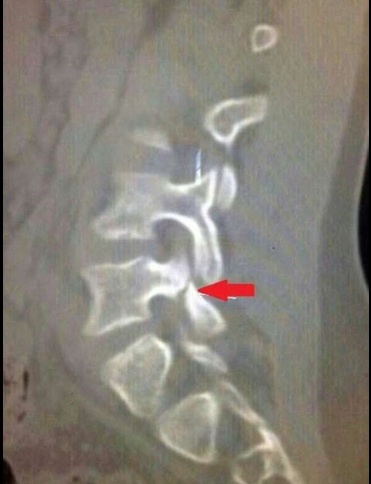 He speculated that if this was indeed an image of Neymar’s spine, he had had the problem for some time and had probably suffered from low back pain. The “modest” trauma resulting from the collision had led to hyperlordosis of the spine and the end of Neymar’s World Cup dreams. Sadly for Brazil, their team suffered a humiliating 7-1 defeat by Germany in the semi-finals on Tuesday. Which brings us to this Sunday: will it be Argentina or Germany with the Beautiful Image of the golden trophy?